Costs of Living offers a stirring, close-up view of an immigrant experience–two sides of the same coin–in a tale that is both hopeful and tragic. Timothy Huang has crafted a powerful story, with melodies and characters that will haunt you for days. Costs of Living originated as a second-year project in the BMI Lehman Engel Musical Theatre Workshop in 2010. It was a selection of the 2011 ASCAP Musical Theatre Workshop and the 2012 BMI Master Class moderated by Stephen Sondheim. It received a full workshop in 2012 through the New York Theatre Barn. Nominations: 2014 Jerry Bock Award, 2013 Weston New Musical Award, 2014 American Harmony Prize (Curtain Call). Finalist: 2012 Fred Ebb Award and 2011 American Harmony Price. Winner: 2015 New American Musical Award (B-Side Productions) and 2013 Jerry Harrington Award (BMI). Winner of the 2016 Richard Rodgers Award. Reading at the Village Theatre Festival of New Musicals (WA) in 2016. Staged reading Playwrights Horizons (NY) in 2017. September 2018 reading with Prospect Theater Company with support from The Alhadeff Foundation. Costs of Living was inspired by, though not based upon, a 2009 New York Times article by Corey Kilgannon called Night and Day about two immigrant cab drivers whose partnership began with promise and ended in tragedy. Mr. Kilgannon liked it so much he wrote a follow-up article about the musical itself. Costs of Living is very much a musical that behaves like a play. In fact, Playwright David Henry Hwang recommended it to the American Playwriting Foundation’s Relentless Award (the Philip Seymour Hoffman one), despite a very clear guideline barring musicals of any kind. You might not think it from the description, but parts of Costs of Living are kind of hilarious. With the proliferation of Asian-American stories in the mainstream, Costs of Living represents the next step in that evolutionary chain: a “Third Generation” story that isn’t about acclimation or immigration, but the impact of those things on the American tapestry. 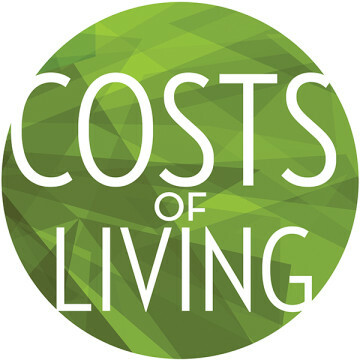 Costs of Living has been in development for a few years with many readings and workshops. We are looking for a staged workshop and/or production of the show, and are also open to seeking involvement from commercial producers. Our hope is to get the show out there to as wide an audience as possible wherever possible.